Originally, I was looking for colored heels but I’ve seen these flats from Solemates since October and resisted the urge to buy them. With only a few pieces available and with no colored heels that interested me, I tried the blue sandals first. They were insanely comfortable and cute! 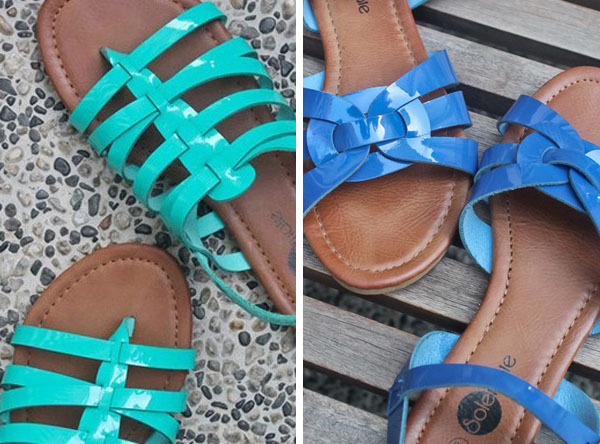 Most of my flats are either flip flops or ballet flats so I wanted to add some strappy ones to the mix. I have a few strappy items and most of them are black so I really needed to inject color. I scoured the rack for other styles with the same sole that roused my interest. 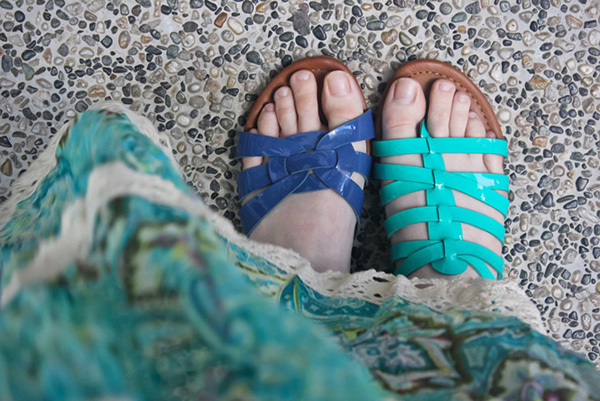 After careful practical thinking – I didn’t want to spend too much; I choose these blue green sandals. I was surprised to see that the only colourful spectrum of footwear category in my cabinet is that of flip flops! My cabinet needs an upgrade of yummy rainbow colored heels, wedges and flats. Both flats are P349.75 from SM Department Store. Hola! Thank you for passing by and checking up on me. Teehee Get my blog posts straight to your email by subscribing to the newsletter here. Never miss an article again, booyah!